When death occurs, emotions often override clear thought. To assist you is a list of information below needed when making arrangements. Please locate and review this information prior to meeting with us. You may view the other pages in this Services section to learn more about what we offer. When you need help, regardless of the time of day or even if death occurred out of- town, please immediately phone the Johnson Family location you wish to have assist you. In the case of an out-of-town death, we are able - through our network of colleagues - to engage the services of a funeral firm to handle transfer details in the most economical and expedient manner. You will also want to contact your clergy person promptly to allow your faith community to provide essential support, along with discussing time, date and location of services. Data, required by law, needed to prepare the death certificate. Other helpful information to be brought when making arrangements. An assortment of photographs for a memorial DVD or pictorial display. A full complement of clothing is requested, including undergarments and outer clothes of your choice. Shoes are optional. For women, a dress or outfit closed at the neckline and long sleeves are desirable. For men, a suit or sport coat is appropriate, or casual attire if preferred. Jewelry, eye glasses and religious items (rosary, medals) and a favorite cologne may be brought it when arrangements are made, or prior to the service. On the day of the funeral, we will confirm which items you wish to be left in the casket and which are to be removed. Although not required, we prefer the family bring in clothing if desired. We strongly suggest any personal items such as jewelry, pictures and other memorabilia be removed prior to cremation as they will be destroyed during the process. These items may instead be placed into the urn after cremation. 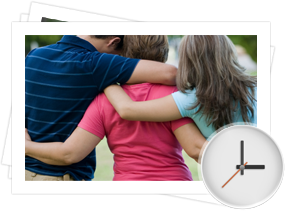 To assure availability of one of our directors and to give you the personal attention and time needed to make arrangements, we will contact you to schedule a convenient time to meet either in your home or at the funeral home.